For me creating art is about the experience, not the end product. Its not that I want my drawings to look like crap, but the struggle for perfection shouldn't overshadow the enjoyment of actually creating something. It still happens to me... a lot... and I really need to stop setting my standards so high. XD But you get the point. P.S. I will do requests. ^_^ There's only one thing I won't do-risque stuff, like naked bodies in sexual poses. >.< I just don't draw that kinda junk. Sure. ^_^ What were ya lookin' for? Damn, you got some very nice drawings! Too bad on FAC you don't get the recognition you deserve. Besides, we wouldn't want me to get a big head or anything. XD It would ruin the artwork. FYI...Ralph Bakshi is an artist/animated filmmaker whom has done some incredible stuff...Wizards, Lord of the Rings (animated version - 1978), Street Fight, American Pop, Cool World to name a few...Your art style, reminds me of his...Keep up the good work! 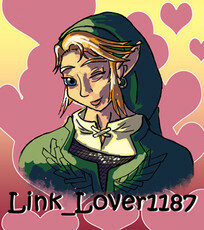 ure arts good:)...im a link-lover 2!!!! I wanted to tell you about my contest. It's extremely easy and if you happen to be the winner you can get a very nice prize. I'm not judjing drawing skills but the design and info of your OCs.